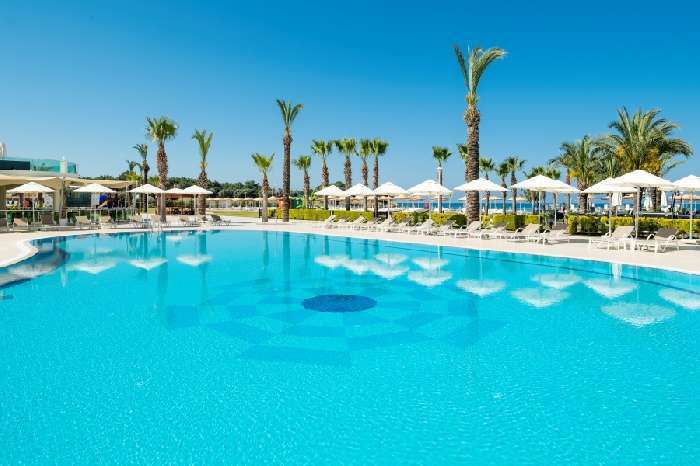 Apollonium Spa & Beach Resort is a luxury development located in Bozbuk Bay, on the Aegean coast of south west Turkey. 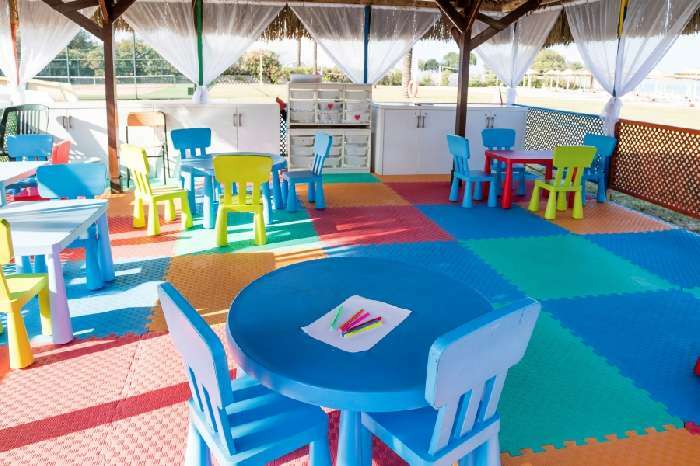 This is a family friendly resort with great accommodation and fabulous facilities, only 100 m from the beach. 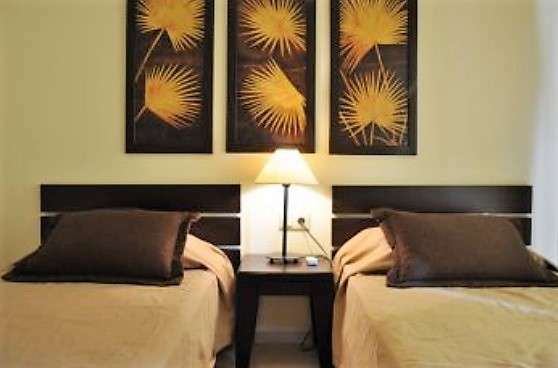 The resort is close to the town of Akbuk and 45 mins to Bodrum Airport making this family holiday home very accessible. 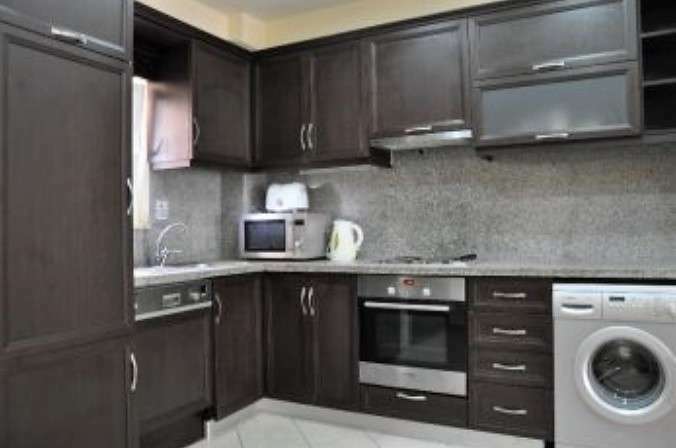 This ground floor apartment for sale in Akbuk is modern and fully furnished, ready to move into. 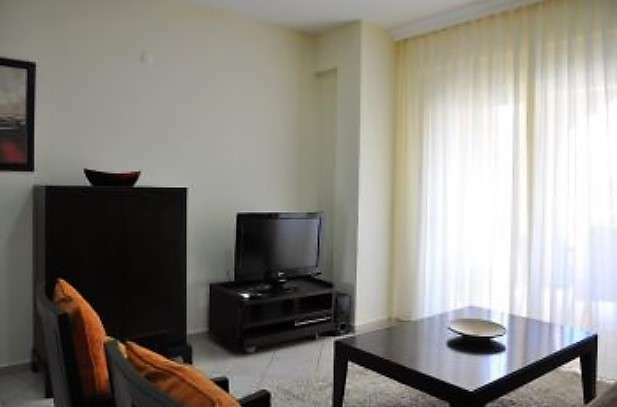 It comprises a lounge with dining area, a fully equipped kitchen, 3 bedrooms and 2 bathrooms. The lounge leads out on to a terrace and garden area with dining table, chairs and sun loungers. 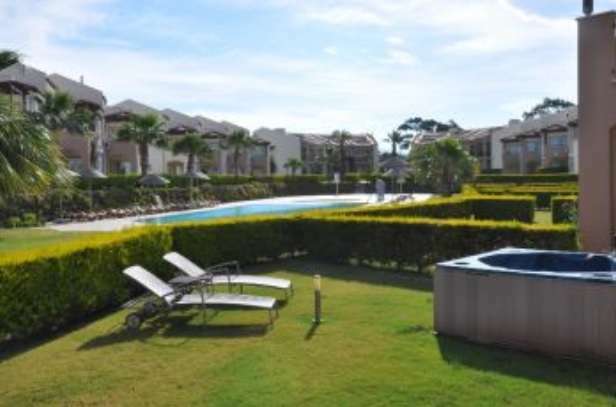 The apartment is beside the swimming pool and there are views of the sea from the master bedroom and garden. 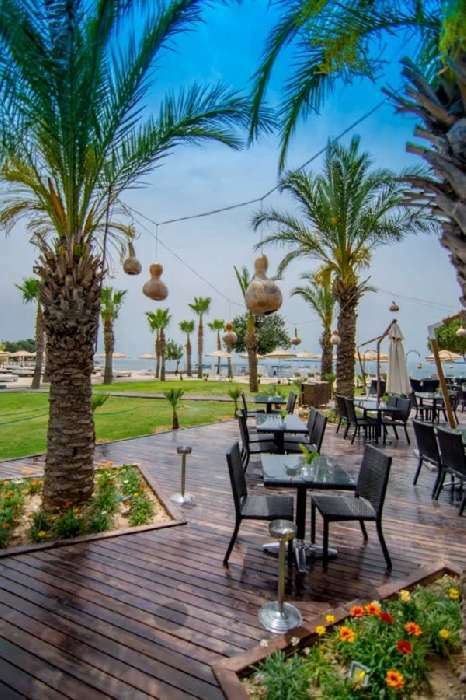 The beachfront resort is in a perfect location overlooking the Aegean Sea with a backdrop of olive groves and mountains. 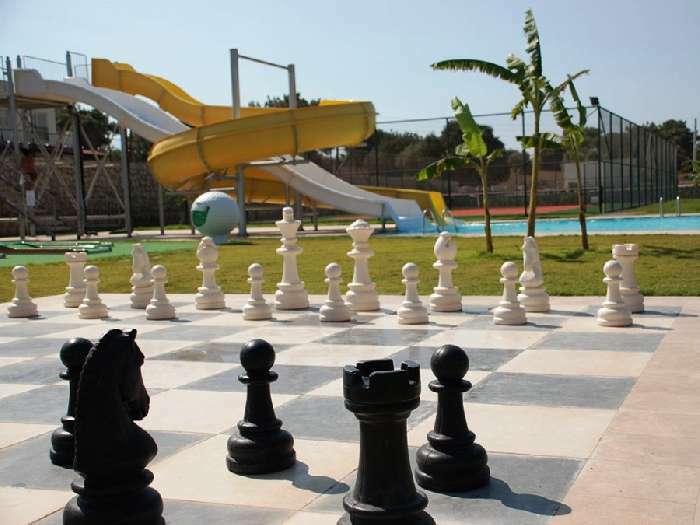 It is an ideal place for a family holiday home where you can relax and unwind yet there are lots of activities for adults and children to enjoy. 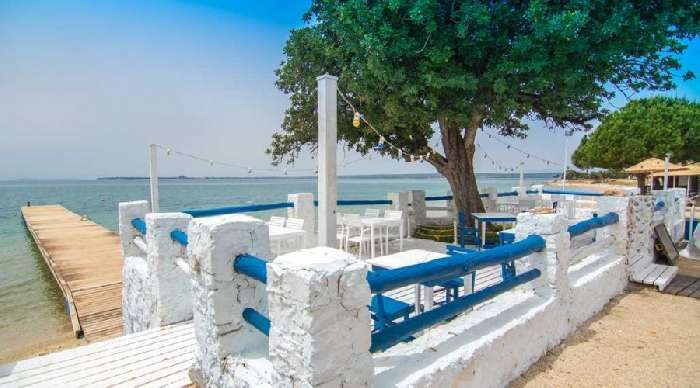 Akbuk is a charming, unspoiled fishing harbour with numerous, shops, supermarkets, bars and restaurants and a beautiful tree-lined promenade. The whole area is steeped in history and is excellent for sightseeing with the Dolmus (local bus) service readily available. 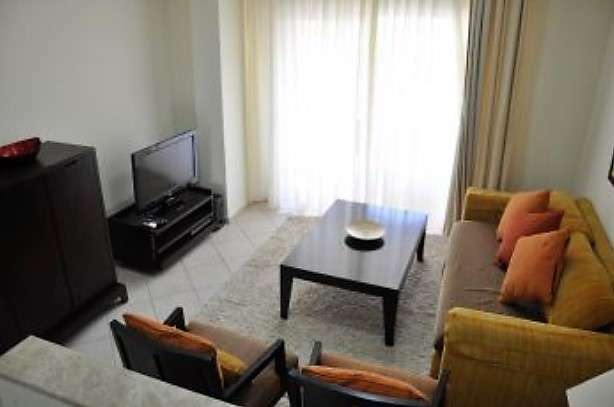 Apollonium Spa & Beach Resort is a great place to buy a family apartment in Turkey. The luxury resort has everything you need for the perfect holiday destination!! The property has 2 double rooms and 1 twin room and a bed settee in the lounge. There are TVs in the lounge and each bedroom and it has a fully equipped kitchen with top class appliances including fridge/freezer, washing machine, dishwasher and microwave. There is seating, cutlery, crockery etc for 8 persons and there is a dining table and chairs inside and table, chairs and recliners in the private garden, where there is also a hot tub.